The county government of Nandi through the Department of Health and Sanitation is stepping up ongoing efforts to raise awareness on cancer in line with the National Cancer Control Strategy (NCCS) 2017-2022. NCCS 2017-2022 is a framework geared at reducing cancer incidences, morbidity and mortality while increasing survival rates in Kenya through access to population-based primary prevention, early detection, quality diagnostics, treatment and palliative care services by the year 2022. Speaking in her office during a meeting with Dr. David Chumba a pathologist from the Moi Teaching and Referral Hospital (MTRH), the CEC member for Health and Sanitation Ruth Koech reiterated the county governments’ commitment to establish the Nandi Cancer Centre with the support of partners that will ensure the residents of Nandi have access to the much-needed cancer treatment and follow up services. “I am happy that as a county we are coming up to openly and undertake cancer awareness campaign. 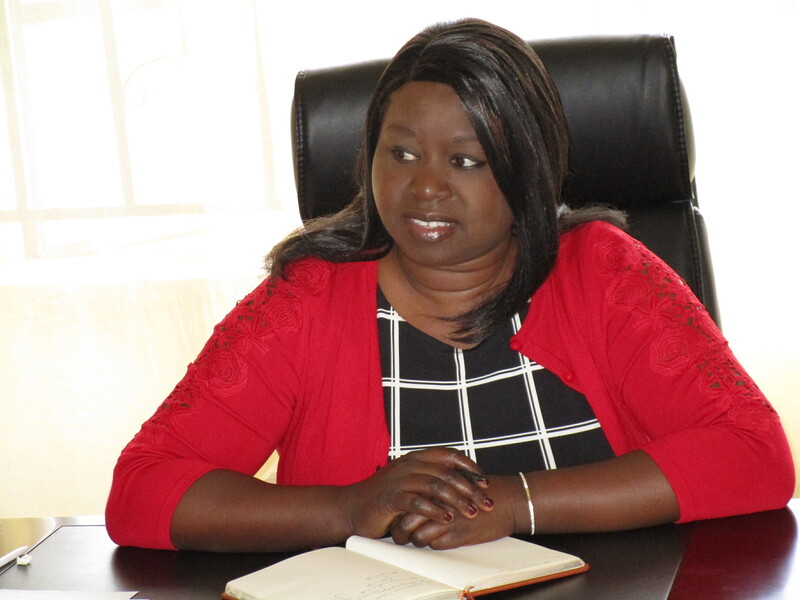 We need concerted efforts to stamp out cancer in the county,” said Ruth. She said cancer screening is done on a daily basis from Monday to Friday at the Referral hospital, all level four hospitals and designated health centres across the county. Dr. Chumba said that he is supporting the department of health on this initiative because cancer is one of priority therapy areas and dissemination of guidelines is always the execution step needed to bring the best practice sharing to life. “We want to improve the quality, effectiveness, and efficiency of oncology practice so that patients can live better lives and achieve best outcomes,” said Dr. Kenei an oncologist at the Kapsabet County Referral Hospital. Cancer is one of the major non-communicable diseases in Kenya and ranks third as a cause of death after infectious diseases and cardiovascular diseases. It is estimated that there are 40,000 new cases annually and approximately 28,000 cancer-related deaths every year. More than 70% of cancer cases are diagnosed at late stage when treatment outcomes are poor and palliative care is usually the only management amenable.